Today, the Latvian capital hosts a KHL regular championship match played in the open air – the second of the season, and indeed, only the second in the League's 10-year history. The game is a contest between the two Dinamos, with Riga welcoming the men from Minsk, and khl.ru is at the venue reporting back on preparations for this historic event. Visitors to Riga were greeted on Friday by temperatures in the low minuses, occasional sunny spells and a complete absence of any winds – nearly ideal conditions for all in Riga working on preparations for the big event this afternoon. A bus ferried journalists to a site close to the center of town, flanked by a school and an icy peak, “Usakovs' Cap,” a slope designed for sledging and named in honor of the mayor of the city, Nils Usakovs. This is Riga's City Council Sports Complex, and its ice rink, thanks to spectator stands freshly delivered from Germany, will boast a temporary capacity of 8,500, and has also been equipped with team locker rooms, a press center, and all the other infrastructure needed for an outside broadcast of a major event. - Everything bar the sound system has already been installed and tested, and it is fully ready for the players. - What was the most difficult part of preparing for this match? Oh, there was something – the weather conditions presented us with a few challenges, as the wind sometimes reached speeds of 20 m/s! And we had guys - lighting, video technicains, electricians - who needed to climb to heights of over 50 feet, but they coped very well. - What do you expect from the match? - First of all, good hockey. The guys are determined to show what they can do. I also expect a good atmosphere and hope for good weather. I'm confident of a great atmosphere because Riga has long been staging similar events, and the tickets (all standing) are priced modestly at 10 euros. 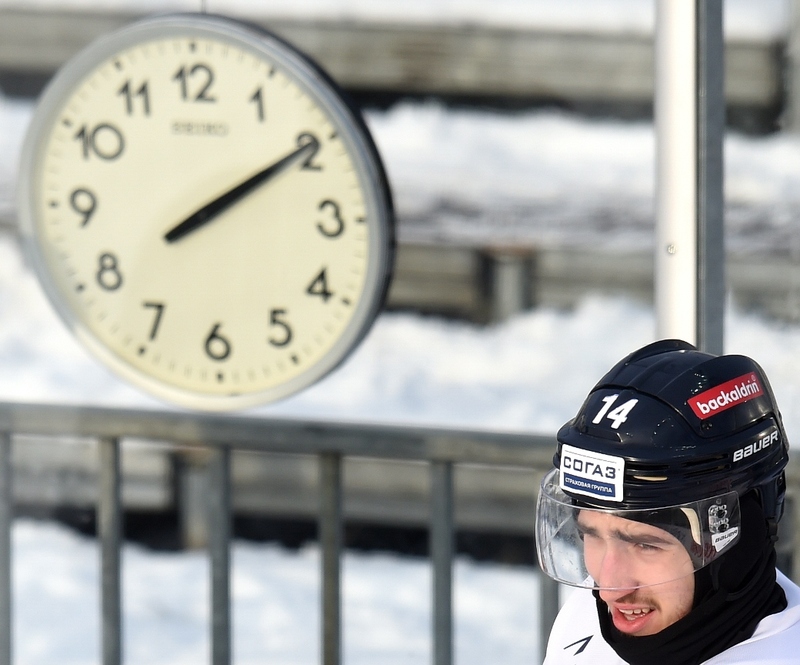 Plus, for two hours before the match we will put on a lot of entertainment in the Fan Zone – there will be live music, souvenirs, a circus, local cuisine, and various Dinamo Riga merchandise... plus the match itself, which was given a catchy title, the Winter Ice Break, and much more. For those who miss out on a ticket, we have a huge screen relaying the action live. - The cold holds no fear for us. We all played outdoors when we were young. The main thing is that the fans enjoy it, so we will give everything to make them happy. - What do think of the quality of the playing surface? - The ice is good. Although, we broke the perimeter glass today, so I hope that doesn't happen again tomorrow, because a few people might freeze if there's a long delay while the glass is being mended. - You cannot qualify for the playoffs, so how is the motivation? - The result is still vital to the Minsk guys as they can still qualify, and they are our rivals. 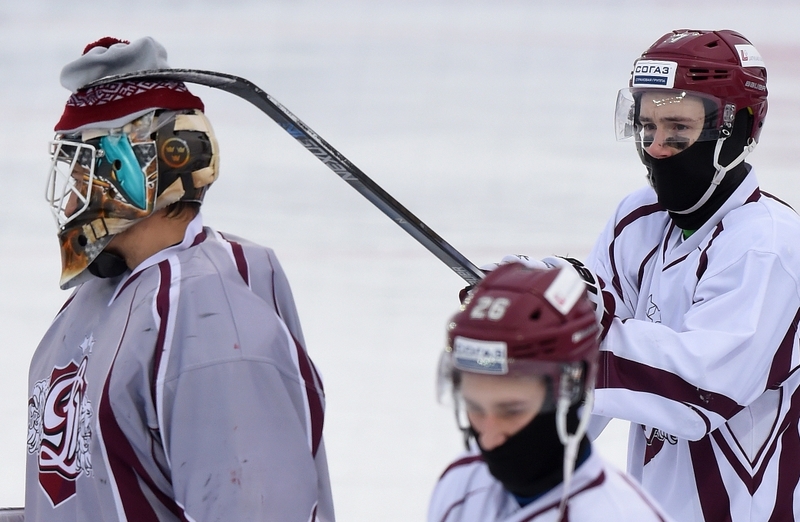 Belarus and Latvia's rivalry in hockey goes back a long way, thanks to being division rivals in the World Championships, and of course, the two countries will jointly host the Worlds in 2021. - Weeks have passed since Riga lost any chance of a playoff spot, so should tomorrow's match lift the morale of the players? - Of course! I'm sure there will be a great atmosphere. Something close to football, I think. We have a very loud crowd, and in such unusual surroundings they will cheer even more loudly. There will be a full house and it will be a very passionate game. - The first sell-out crowd of the season. - As you say, the men from Minsk still have a chance of qualifying for the playoffs. Are you determined to ruin their plans? - No, first of all, we intend to play our own game. But any game between Latvians and Belarusians is a derby, with extra passion, aggression – a tough battle. We have our goal, and every game is important. - What do you think of these open-air games? - They're awesome! I like everything about the idea, and it is just like it was in childhood! I remember my dad bringing me to the rink where I would skate with all my friends, so there's a bit of nostalgia, and I'd love to be a fan at such a game. - What kind of special preparations have you made for the game? - Several sets of underwear, and we've been given special scarves to ensure that our ears won't get cold. Although, having said that, it's not that cold. Dinamo Minsk head coach Gordie Dwyer was also very enthusiastic about the upcoming event. - It must be amazing! This is my first experience of such a game, and I, being the coach, was the first to get a look at the whole set-up. And it's awesome for the fans, and for promoting the sport. Tomorrow will be a new experience, not only for me but for most of the players. It's a little strange - different ice, different air. But the atmosphere will make up for any minor inconveniences, and the match will linger long in the memory, I'm sure Dinamo Riga will give a great performance, and we are expecting a really tough game and an enjoyable battle that is certain to attract new fans.